The life of Enomoto Takeaki has two stages: a young captain of old Tokugawa Shogun government’s navy, and a tactful diplomat and politician of new Meiji government. Takeaki was born in a family of a hatamoto (旗本, middle-rank vassal of Tokugawa Shogun). His father Enbe-e (円兵衛) was said to be good at mathematics. Enbe-e was a disciple of famous land surveyor Ino Tadataka (伊能忠敬), and traveled northern Japan to make a total map of Japan. Takeaki also showed a talent of acquiring western sciences, that were rapidly imported to Japan in his younger days. In his teenage he learned both Chinese classics and English language at schools in Edo. At age 19 he was appointed to an attendant of the chief administrator of Ezo-chi (蝦夷地), modern Hokkaido and surrounding areas, that was still unsettled territories between Japan and Russia. At age 22 he joined Nagasaki Navy School (長崎海軍伝習所), the first navy school in Japanese history. There he learned mechanics of steam engines, navigation technique, and chemistry. Teachers of the school Van Kattendijke and Pompe van Meerdervoort, both of whom were of Netherlands (Netherlands were long the sole western country that had a tie with Edo Era’s Japan), appreciated Takeaki for his diligence. At age 27 Takeaki and his colleagues were sent to Netherlands to learn western sciences more. It was in year 1862. Japan was in turmoil inside by battles between Shogun government and anti-Shogun government groups, and outside by western powers’ demands to open the country more. In Netherlands Takeaki learned international laws along with technologies. He and his colleagues got back to Japan in 1867 boarding on Kaiyomaru (開陽丸), a battleship that was just built in Netherlands for Shogun government. He was designated as the captain of this new battleship. But as soon as he returned home Shogun government collapsed. Meiji Restroration began, and Shogun government lost battles against new Meiji government with the Emperor of Japan as its head. Last Shogun Tokugawa Yoshinobu (徳川慶喜) loathed to make himself an enemy of the Emperor, and rejected to continue fighting. Shogun government surrendered, and Edo, the capital of Shogun government, was ceded to the Meiji government. But Takeaki decided not to obey the order. In 1868 he drove Kaiyomaru and ran away from Edo to the northern Japan with his followers (by then he had been raised further to vice-president of Shogun’s navy). He occupied Hokkaido and set a de-fact government in Hakodate (函館). He was elected as the president of it, and told Meiji government in Tokyo (renamed from Edo in 1868) that his intention was to give Shogun government’s vassals a new frontier to live. But Meiji government didn’t hear him and dispatched army and navy to Hokkaido. Takeaki resisted against them, but finally Hakodate fell in 1869. Before he decided to kill himself, Takeaki asked one of his men to hand a book to Meiji government. It was a textbook for international laws written in French language and commented by Takeaki’s teacher in his days in Netherlands, that he brought back to Japan. He thought it must be crucially important knowledge for Japan because there was almost no one in Japan who knew international laws fully. But this book spared his life. Kuroda Kiyotaka (黒田清隆) was in charge of the staff officer in Meiji government’s army when it fell Hakodate. When he was handed Takeaki’s book, he realized that his knowledge was necessary for Japan’s future. Takeaki failed to commit suicide and surrendered to Meiji government. Kiyotaka made a full effort to spare Takeaki’s life while he was in prison. 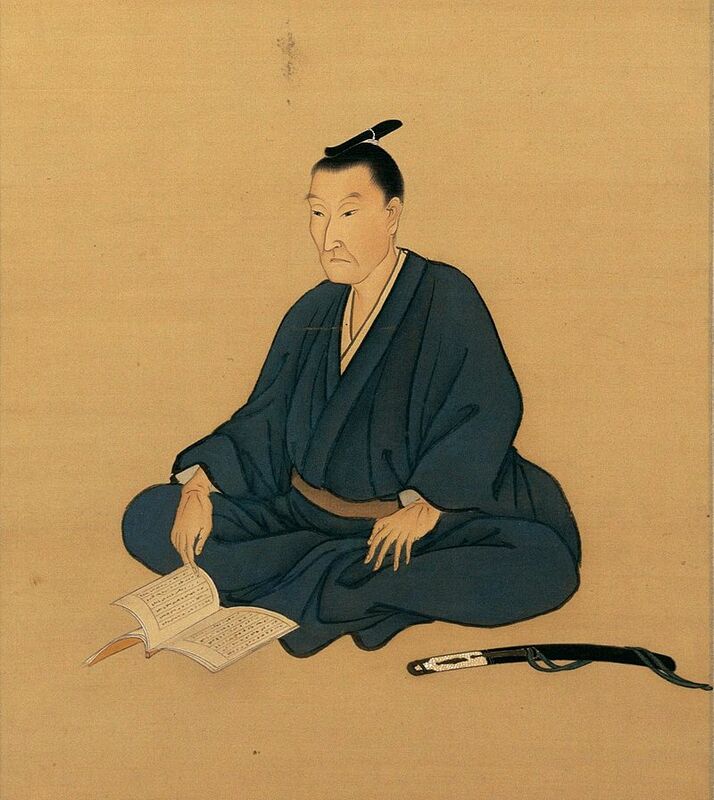 Fukuzawa Yukichi (福沢諭吉), famous enlightment philosopher in Meiji Era, was said to also acknowledge that Takeaki’s knowledge was necessary when he was forwarded Takeaki’s book from Kiyotaka. Takeaki was released in 1872. After that time Takeaki and Kiyotaka got close friends for life. Finally he could conclude a treaty with Russia about the border. It was in 1875. He knew international laws deeply and understood how power, justice, and negotiation could work in international society. Even after he ended his negotiation, he didn’t think his task was over. He went back to Japan through traveling Siberia in a long way in order to take out as much information of Russia as possible for his home country, that he thought was also a task for an ambassador. He is now respected as one of the best diplomats in Japanese modern history. He was appointed to a number of ambassadors and ministers in Meiji government after then, and died in 1908. When he got an important figure in Meiji government later, Fukuzawa Yukichi criticized Takeaki saying he once fought for Shogun’s government and drove many of his men dead, but now he was happy to enjoy a high profile in his enemy’s government, whose morality wasn’t worth to get respected. Old Takeaki didn’t seem to send a clear rebuttal against his criticism. Ishida Mitsunari is now regarded as the most competent vassal of Toyotomi Hideyoshi (豊臣秀吉), Japan’s ruler in Azuchi Momoyama Era. But in Edo Era (江戸時代), 270 years that followed Azuchi Momoyama Era ruled by Tokugawa Ieyasu (徳川家康) and his successors, who took over the Japanese government after Hideyoshi’s death, he had been looked down as an uncanny henchman of Hideyoshi, a narrow-hearted official who disliked and was disliked by brave Samurais like Kato Kiyomasa (加藤清正), or a petty plotter who tried defeating great Ieyasu in vain. Edo Era was the time of Samurai class, who put bravery as the supreme value. Add to that Mitsunari was a man who tried to kill Ieyasu in the Battle of Sekigahara (関ケ原の戦い, 1600) after Hideyoshi’s death, but was crushed down. Even after Meiji Restoration, that toppled Tokugawa’s government, Mitsunari’s reputation had been lower than another Hideyoshi’s vassal Kiyomasa. It is the recent 50 years that saw Mitsunari’s rapid re-evaluation. Japanese people got to evaluate cleverness than bravery, and add to that got to realize what should be regarded as sincere when a person was in charge of business. Now Mitsunari is praised as the cleverest administrator in his era, a loyal vassal of Hideyoshi with no selfishness, and a tragic hero who was defeated by strong and cunning Ieyasu. Recent historical movies and TV programs often describe Mitsunari as heroic and tragic, but on the other hand Kiyomasa, whose popularity was high 100 years ago as a brave and noble-hearted Samurai, is now seen as no more than a second-grade figure who had more force but much less insight than Mitsunari. Mitsunari was born in an inconspicuous family. He was picked up by Hideyoshi in his young days. Hideyoshi was also picked up by Oda Nobunaga (織田信長), the warlord who proceeded the unification of Japan, from a lower class peasant to one of the highest commanders in Nobunaga’s army. Due to his lower origin Hideyoshi didn’t have inherited vassals, so he was eager to raise his own youngsters like Kiyomasa or Mitsunari. After Nobunaga was assassinated by his commander Akechi Mitsuhide (明智光秀), Hideyoshi defeated Mitsuhide swiftly and took over Nobunaga’s power. In 8 years after then he completed the unification of Japan in his hand. In Hideyoshi’s government Mitsunari accomplished important tasks such as unified taxation system or disarmament of peasant class. He surely made a crucial role to change Japan from Sengoku Era (戦国時代)’s strife-torn state to Edo Era’s pacified society. Hideyoshi died in 1598, leaving his infant successor. Then Ieyasu was the most powerful daimyo (大名, regional lords) and soon reached his influences to the government and became the de fact top-figure in it. Mitsunari saw Ieyasu as an usurper. So he tried to gather anti-Ieyasu daimyos and make a battle. But he was thought much less by other daimyos than Ieyasu, so he couldn’t gather enough allies (many of his colleagues such as Kiyomasa ran to Ieyasu). Worse than it in the battle of Sekigahara many daimyos in his allied force deceived Mitsunari and fought for Ieyasu. Mitsunari was decisively defeated, and killed by Ieyasu. 15 years after the battle of Sekigahara, Ieyasu destroyed Hideyoshi’s successor by the siege of Osaka Castle (大坂の陣). 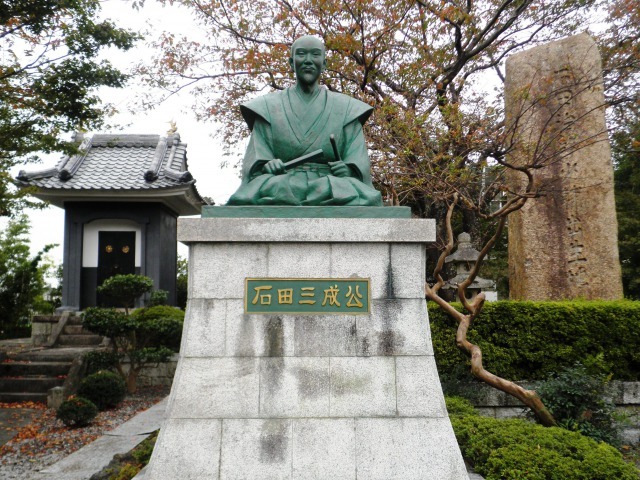 Mitsunari had been neglected by Tokugawa government in Edo Era, and even so in Meiji Era (Meiji government didn’t grant him any posthumous titles). Only contemporary people have a deep sympathy with this tragic and loyal Samurai. His life was short but he is revered as one of the greatest teachers in Japanese history because he raised many young patriots who played crucially important roles from the final stage of Edo Era to the next Meiji Era (1868-1912), as revolutionaries and/or high-rank statesmen. Shoin was born in a middle-rank Samurai class and reputed as a prodigy in military studies (although traditional ones). He was taught Confucianism in his childhood days and became an enthusiastic follower of it. When he reached age 20 Japan became surrounded by western powers’ demands to open its border, even using military threats. Young Shoin was heavily concerned about Japan’s future. So he traveled east to west to meet researchers who knew western military technologies as well as to exchange opinions with patriots about how to defend their home country. Finally he tried to board on a US battleship that intruded near Edo for the purpose of having a talk with the Shogun government about a new commercial treaty. His intention was to acquire their enhanced technology and tactics right within their arms by taking himself abroad. But he failed it and had been taken in home arrest until his death. Back in his State of Nagato’s home, Shoin opened his private school called Shoka-son Juku (松下村塾, literally ’school under a pine tree’). Although he taught there for only a few years, Shoka-son Juku became the incubator of the future big names in Japanese history. Shoin taught students to keep noble spirits in their hearts, not being moved by benefits but taking actions for benevolence and justice, that was Confucianist belief. On the other hand Shoin taught them to try getting knowledge and information from everywhere in order to make a better decision. His death came suddenly. Edo’s Shogun government decided to suppress criticisms against their political actions (they got commercial treaties with western countries). Shoin was regarded as a collaborator of an attack plan against the government, sent to Edo, and sentenced to death. Just before killed, Shoin sent his final letter for his students to succeed his will. Although his life was only short of 30 years, his influence got great. His students led Japan to Meiji Restoration in 1868, and after then built up modern Japan. Shoin’s favorite word was "Anyone will be moved when you take actions with your real inner sincerity" (至誠にして動かされぬ者なし), that was taken from Mencius (ancient China’s Confucianist) . In the middle of August Japan enters into a holiday season, that continues around 1 week. It is called "Bonyasumi (盆休み)", or simply "Obon (お盆)". It is not a public holiday, but has been observed as a traditional holiday season. During Obon most private companies stop their businesses, and people leave their residences for their ancestral homes. It is a bit like Korean "Chuseok (秋夕)", but Korean counterpart is taken in September to October, around one month later than Japanese Obon. Both "Obon" and "Chuseok" have their origin in ancient Chinese tradition, in that clan members gather and visit their ancestral graves and hold a ceremony. Japanese "Obon" is the mixture of ancient Chinese tradition with Bhuddist belief. On August 16 of every summer in Kyoto City, "Gozan no Okuribi (五山の送り火)" festival is held. It is held at the end of "Obon". Once upon a time Kyoto was the Japanese capital city. "Gozan no Okuribi" festival is said to have begun several hundred years before now. Torches are lit on the surfaces of 5 hills to draw 5 symbols. "Gozan no Okuribi" festiva has a close relation to "Obon". It is held to say farewell to ancestral spirits, who are believed to come back for a short time in "Obon". This belief is a bit like western Halloween. "Gozan no Okuribi" festival has been practiced by Kyotoite residents generation to generation. It is a religious ceremony, although attracting sightseers. Tsuyu(梅雨) is Far East Asia’s rainy season in early summer. It brings much rain in central China and Korean peninsula to Japan except for Hokkaido. In Japan Okinawan archipelago enters "Tsuyu" first, usually in May. Tsuyu is the forerunner of Japan’s hot summer. Every year in all around Japan many people are knocked down by the heat. Japanese traditional houses are mainly made of wood. They are constructed by wooden beams and planks. Tiles are put onto the roof, and walls are made of a very simple structure - paper-made "Shoji(障子)" and "Fusuma(襖)". Such houses are very inflammable, naturally. Back in 200 years ago Tokyo was called Edo (江戸). Edo was once samurai’ capital, and residents had their high respect for bravery. So they were notorious to be easy to resort to fights when they got mad. And the great city often got thoroughly burnt by great fires in its history. Fires were inevitable disasters for a city filled with houses made of wood and paper. The reason why Japanese people have chosen such a fire-vulnerable house structure is that it is suitable for getting along with Japan’s climate. Japan’s summer is very hot and humid. If Japanese people had lived in a house in western style, whose walls were made of stones and bricks, its inside wouldn’t have been livable in summertime due to the heat without any flows of the air. Japanese traditional houses have a space under their floors through which the air can blow in and out. "Shoji" and "Fusuma" are easily opened and even sometimes are all removed in a very hot season, in order to make the air blow inside rooms freely. A traditional Japanese house has a structure that can make ways for the air to blow fully in every directions. It is an adaptation to Japan’s climate. Before modern times people got through hot summer days and nights with the Shojis or Fusumas open, and residents set their bed inside a net hung from a ceiling, that was used in order to avoid bugs like mosquitoes. It is called "Kaya(蚊帳)", that once could be seen in every household in summer. Modern Japanese people tend to live in apartments and condos of western style rather than houses of traditional style. Houses made from concrete and iron beams can’t cool down its inside. Although Japanese people like "Gaman" - to keep patient as long and as much as possible, heats in urban areas should make us think again. Ajisai(あじさい, 紫陽花) is the most symbolic flower in Japanese rainy season "Tsuyu (つゆ, 梅雨)", that lasts from June to July. Ajisai is one of Japanese indigenous flowers. There are two types of Ajisai. "Gaku Ajisai (がくあじさい)" is said to be the archetype of Ajisai family. It is recorded in Japanese ancient literature as "flower with four petals (’Yohira no hana’ in ancient Japanese)". The most common type of Ajisai is the western developments of Japanese indigenous species. It is as popular as its old archetype flower also in Japan. Oda Mitsuo and Sumida Masanori, both YouAT staff, visited the Philippines in the end of May 2017. We firstly flew to Cebu City and after that went to Manila before we came back to Japan. In Manila we met Mr Mabaga. He was in the past in Japan as a trainee and after returning Japan he has given us YouAT LLC his cooperation in Manila. We three visited Mall of Asia at Pasay bay area and had a precious time. There are a variety of iris species that can be seen in Japan. Ayame (あやめ、菖蒲) and Hanashobu (はなしょうぶ、花菖蒲): The most popular iris flowers. They are symbolic flowers in Japanese May. Kakitsubata (かきつばた、燕子花、杜若): Another indigenous iris in Japan. Ichihatsu (いちはつ、一初): Imported iris from China. Shaga (しゃが、射干): They can be seen in urban areas as a weed. This is pictures of wild Kakitusbata at Midorogaike (深泥池), northern Kyoto. Fuji (藤, ふじ) is one of the most famous indigenous flowers in Japan. The original species can be seen in mountains in Japan, but nowadays we can see them in parks and gardens in cities. When cherry blossoms are gone in April, Fuji flowers open. The original kanji "藤" in Chinese culture indicates vine plants without flowers, but Japanese culture turns this kanji’s meaning into an indigenous vine-like plant with purple or white flower. We can find many Japanese people who have kanji "藤" in their surnames. Their surnames derive from Fujiwara clan (藤原氏) - one of the most influential families in Japanese history. Throughout Japanese history Fujiwara clan bore many famous imperial nobles as well as samurai warlords, that makes contemporary Japanese families have surnames with one of Fujiwara’s kanji "藤".